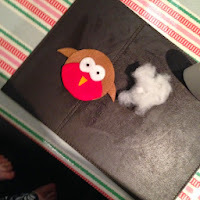 This was a craft I designed for a nice quiet Christmas craft session with T, I put all the cut out supplies and placed them in a bag for T to put together. 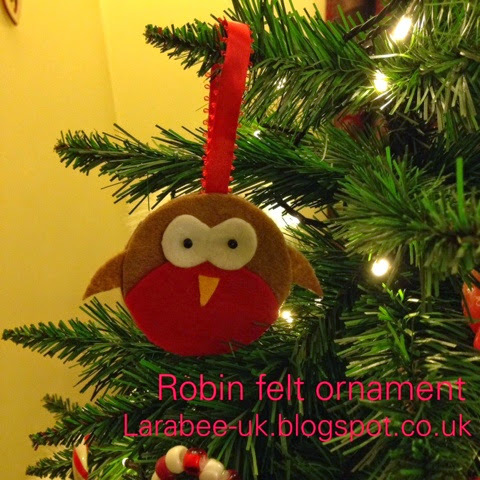 We just glued our robin with children's pva glue but you or an older child could sew together instead. The template for this craft can be found here if you'd like to have a go yourself. Starting with one of the brown circles, glue the wings in place and then apply glue around he edge of the circle. 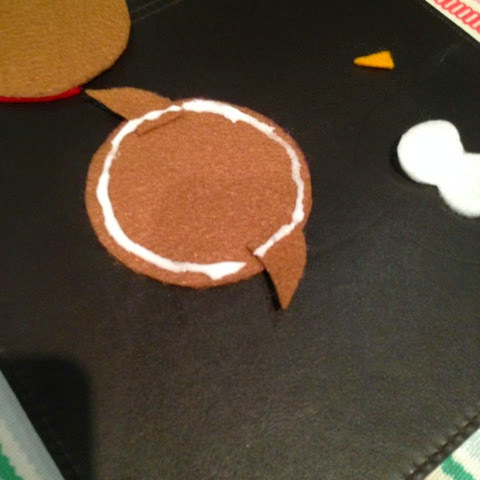 Put the ribbon in place and top with the second brown circle. Apply glue to the red felt and position. 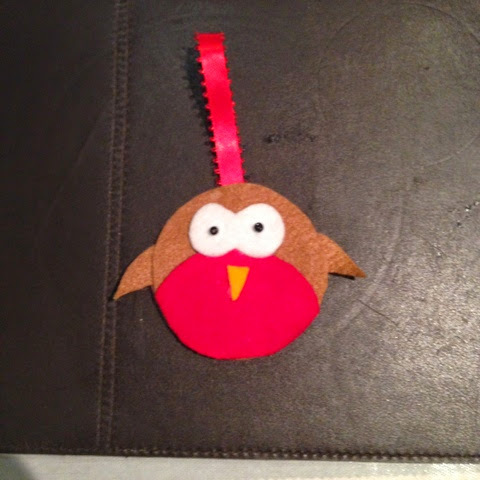 Attach the eyes and beak using glue. 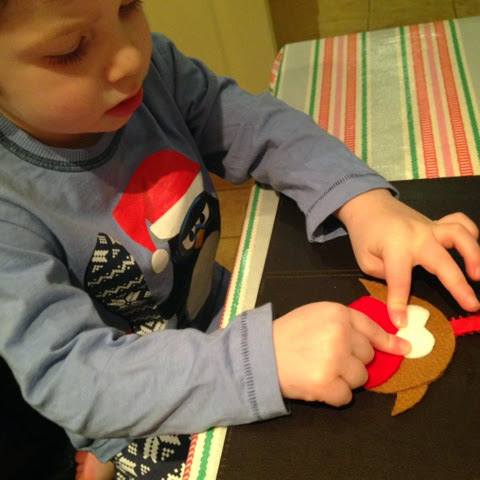 T loved doing this craft and it literally took minutes to make. 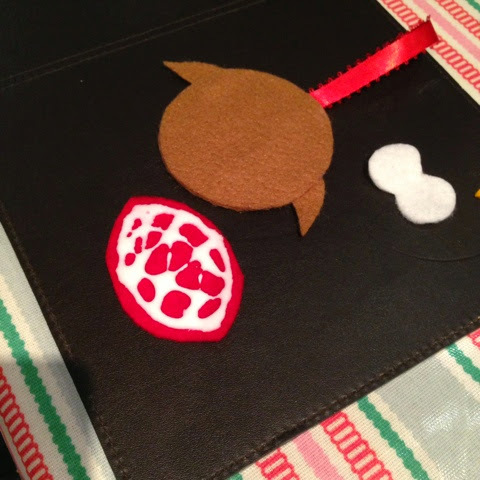 We finished off with attaching the beads for the eyes and leaving to dry overnight. If you use the template to make one of these, we'd love to see it, please do leave a link in comments or tag me! This is so cool! I can't believe it hadn't occurred to me how simple a robin shape is to make! 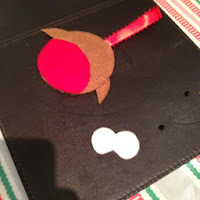 M would love to make one. We will at the weekend. This is so cute! 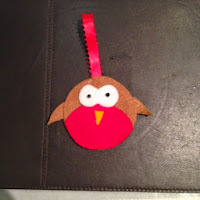 Shall be pinning and maybe making with Ellie one night before she goes away to her dads. This is super cute! And I like the idea of using glue. These would look really well on our tree.